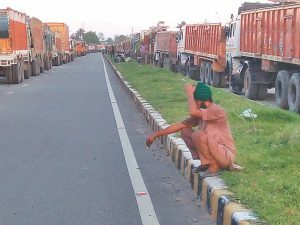 The tough security measure adopted by the Indian Sashastra Seema Bal (SSB) for the last five days had created serpentine queue of cargo trucks at the border point, affecting the country’s imports and exports of goods from the second biggest Nepal-India trading point. With the SSB increasing surveillance, the Indian security personnel had started climbing on each and every truck bound for India and inspecting every corner of the vehicle. Because of this, every cargo vehicle that crossed Nepal border had to wait for 20 minutes to get security clearance. 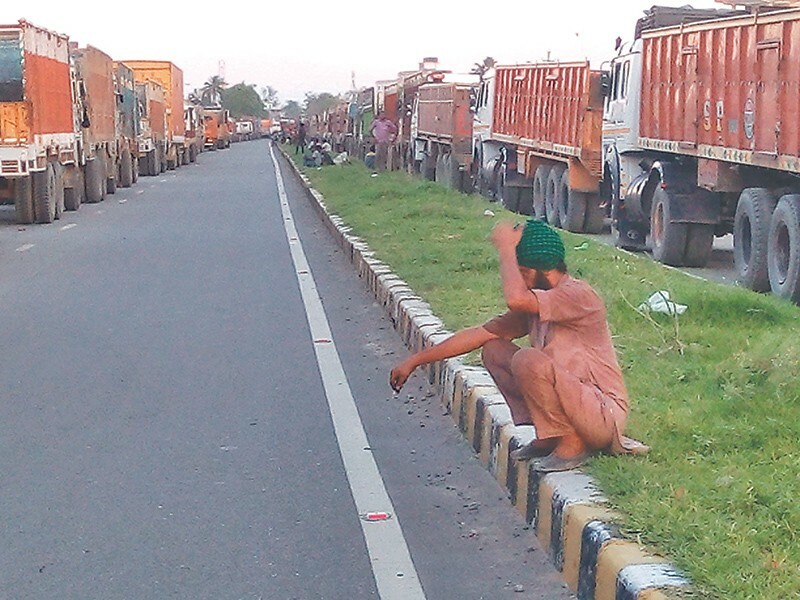 As a result, movement of cargo trucks had come to a crawl, creating traffic congestion in the Nepali territory that stretched as far as four kilometres. Since the security was heightened at the border point, around 100 cargo vehicles have started entering Nepal from India per day. Previously, 300 to 350 cargo trucks used to ferry goods to Nepal every day. The Indian authority is reported to have eased the security inspection since Tuesday evening. As a result, the security inspection time for each vehicle has come down to 3-5 minutes. However, people travelling to India by foot still have to undergo tough security checks. Customs Chief Bhupal Raj Shakya said the traffic congestion in the area has been minimised after the Indian authority eased the inspection process. “It could take few more days for the situation to return to normal,” Shakya said. The SSB’s increased surveillance along the border point came few days after the Indian government allowed it to run an intelligence wing along the borders of Nepal and Bhutan to keep tabs on activities of “anti-India and other inimical” elements. Earlier, Chief District Officer of Rupandehi district Binod Prakash Singh held a discussion with the Indian authority in Maharjgunj, India, to resolve the problem. Sub-Inspector of Police Bishnu GC said the traffic congestion had increased the risk of goods catching fire or being stolen.